John McCormick writes, I arrived back from Spain (where I’d been able to eat outside) around midnight last night, to find a duff thermostat and a colder house than expected. And then we woke up to snow. Not as much as Pete Lynn, who reported 4 inches where he is, but enough when the heating doesn’t work. Back with Dickens and this time it is Ebenezer Scrooge’s line in A Christmas Carol. My gripe though is not with Christmas, which I adore. 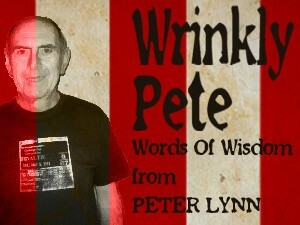 It is rather with the ongoing theory that there is something rotten at the very core of Sunderland AFC. 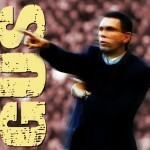 I believe I saw something attributed to Gus Poyet quite recently on the subject. There have been many versions of this put forward in recent years but I will spare the reader details and I can use the space thus freed up more constructively, in order to dispel the myth and then to propose why I think we are suffering as a club presently. Consider nothing more than this: why is there no gremlin/ghost/lang-leggedly beastie (oops, drifted in to Burns then) when things are going well? It is simply because when things are going well, no scapegoat is required. Conversely, when things go badly, we all look, with mainly good intentions, for a way to help improve the situation. In this respect, most of us look for a single factor. This is what leads to criticism of, and often in this order, the owner, the sporting director, the manager and the players. I believe that the blaming of our “ghost in the cupboard” happens when people have tired of naming the usual suspects or wish to have a go at the whole organisation without actually naming it. Let us look for a moment at the usual suspects and the criticisms levelled at them. 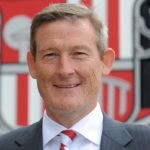 First up, Ellis Short. I have read that he doesn’t care about SAFC. If that were true surely he would not have backed the various managers with his own money and then written off the sums involved so that the club was not burdened with debt. If it were true would he not have sold up to the first bidder rather than try to find the best fit for SAFC’s future? Secondly, the sporting director. We haven’t had too many of these and I don’t personally believe they have had much impact, good or bad. Thirdly, the managers. These are the usual scapegoats across most clubs, partly, I believe, because we fans are mostly reluctant to blame our heroes, the players. I can think of many, many managerial decisions which I disagreed with, from team selection to tactics to substitutions to press statements. However, I cannot believe that the manager involved at the time was not acting in what he considered the best interests of the club. Finally, the players. It seems to me that here is where you could lay blame, individually. I, like anyone, can recall some awful performances but this is a team sport where collective responsibility is key, where an individual error is often negated by intervention from a fellow team member, where an individual’s efforts made in the first half of a game come to nothing but bear fruit in the second. Where I, like most I suppose, get really angry with a player is when they simply don’t try. My personal view of why we are suffering as a club presently is that there is no single factor, rather it is a combination of all the factors listed above – and others! As an example of others, our player injury record is far worse than most clubs. How do we get out of the present mess? By honest effort, by everyone. This club has a proud history achieved by the efforts of uniquely special people from the Sunderland area and their descendants/friends. This was most recently shown by the support given to Bradley Lowery, his family, and now to his legacy. It led to a much wider involvement by the football community as a whole which transcended mere sport. We may be suffering as a playing force but we are still “Sunderland ‘til we die”. If we all give our honest support we can turn this situation around. PS I was at the Wolves game and saw a display of individual effort backed up by team organisation which was superb. If we can maintain that level consistently then all “humbug” talk will cease. Canny deep snaw in Stanmore. Text from my brother in Perth Oz to say 36 degrees whilst watching England’s warm up game prior to attending Ashes. Text from my son to say 34 degrees in Bangkok where he’s spending a week or so on his way back from Oz. Texted back to say so what, it’s 33 degrees here, what’s the problem? Good rearguard action yesterday, shoots of recovery sown, we” be fine!